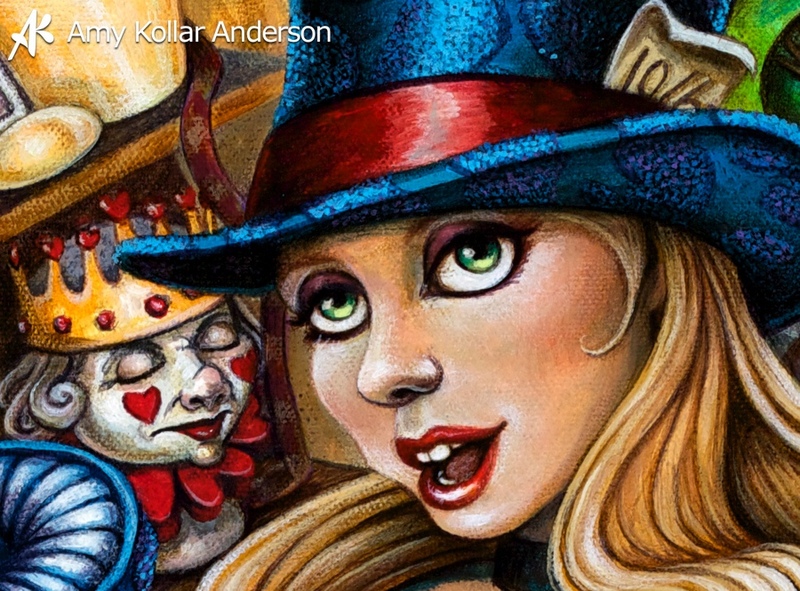 The Millinery Studio is the first of five Alice in Wonderland inspired paintings for The Hive Gallery, March 2011. Canvas is 14" x 20"
I went back and read the original text for Alice in Wonderland, and I am using that as the starting point for my inspirations. I envisioned Alice has grown up and returned to Wonderland. 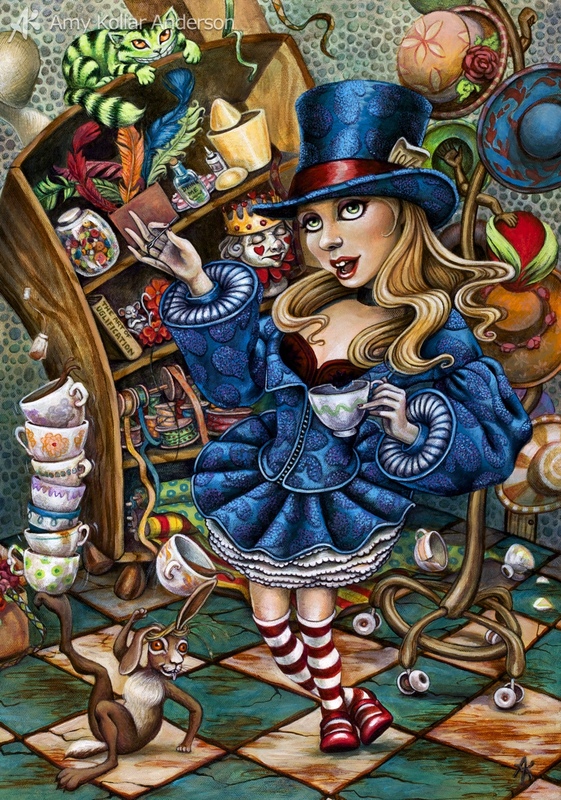 The Mad Hatter has passed away due to an unfortunate encounter with the Queen of Hearts, and Alice has taken over the studio. The March Hare, or one of his many descendants, is still causing havoc, and the Cheshire Cat is still stalking her in his playful way. I plan to have the studio filled with hat making supplies and activity. Swanky chilling on my lap while I paint. Face coming together. She went through a really fugly phase, but it did not get documented. Loving her eyes! March Hare developed more and his stack of tea cups. Added volume to Hare and values to her dress. Chessboard floor. Most of the details are in now, including patterns on the hats. Changed her sleeves, so now the giant tea cup is bothering me. Going to redo that and give her another hand holding a tea cup. The finished piece. You can also find Limited Edition Prints and Paranormals Pouches of this piece in my Store.